Pitch Night is a chance for our community to share their ideas before an audience, and be seen and considered for TEDxAmsterdamWomen’s main event on December 6, 2018. Pitch Night is on November 9th where ten people pitch their idea in under 3 minutes. There will be entertainment, a fun and supportive atmosphere, and a chance to grab a drink, eat, and network. The two most compelling ideas presented, selected by the jury (and audience participation), will present their pitch on TEDxAmsterdamWomen’s main stage. They will also receive a session with a speaking coaching leading up to the event. All pitches will be considered by the curatorial team for upcoming events. When does my application have to be submitted? Pitch Night applications can be submitted from August 20 – October 12. Below is a timeline of our key dates. It is important that those applying can meet and attend the deadlines and events mentioned in the timeline. What should I prepare for my Pitch Night speaker application? Before you fill out the application form, take time to detail your pitch. What you provide will help us understand if the pitch is ready for our stage. An overview of the entire pitch. We like detail so take your time and give us at least 300 words. Help us understand how your pitch relates to women’s issues and how it relates to this year’s theme – Bridging the Gap. We are looking for great ideas relating to this year’s theme ‘Bridging the Gap.’ It’s even better if your idea touches on one of the TEDx pillars – Technology, Entertainment, Design, Global issues, Business, Art & Music, Science or Sustainability. Please note that there will be no selling from the stage, no political agendas, no proselytizing and only reliable, good science. Your idea can be new or surprising. It can challenge a pre-existing belief. Or it can be a great basic idea with a compelling new argument behind it. An idea isn’t just a story or a list of facts. A good idea takes evidence, observations and draws a larger conclusion. A few questions you could ask yourself are: Is my idea new? Are you telling people something you’re pretty sure they have not heard before? Is it interesting? Think about how your idea might apply to a room full of varied kinds of people. Who might be interested in it? Is it factual and realistic? If you are presenting new research, make sure your idea is backed up by data and peer-reviewed. If you answered “no” to any of these questions, try to refine your idea. Ask yourself – is my idea new? Is it interesting? Is it factual and realistic? Consider the solution – is there one? What’s the status quo? What’s the problem with the status quo? Remember, even if you are telling a personal story – where are you going with it? What’s your idea? Our theme this year is ‘Bridging the Gap.’ We are looking for ideas that characterize this theme and address women’s issues. Food for thought: Do we still need feminism? The gender gap proves we do. Indicators in health, politics, economics and education show the gap is widening. Women — and men — around the world are taking action, raising their voices in a wave of protest. Change is coming. It’s time for equal pay and equal say. It’s time for a world that reflects women, too. Inequality won’t disappear overnight, but we can make strides when we band together. By sharing big ideas that spark a fire in others, we’re creating a movement — idea by idea. We’re welcoming of all humans regardless of gender. TEDxAmsterdamWomen specifically focuses on the unique way in which women contribute to the world and women’s issues, we are looking for ideas that reflect this. Do I have to be based in Amsterdam? No, we’re happy to welcome all participants regardless of location. However, if you’re joining us from out of town, please be aware that you’re responsible for any associated expenses. Yes, all applications and pitches need to be done in English. What is the video submission? If you are selected for our shortlist, the next step will be to submit a short video of your pitch delivery. Because of the quick turnaround time of just a few days, we recommend you start rehearsing your short pitch during the application process. I missed the video submission deadline for my application, what now? 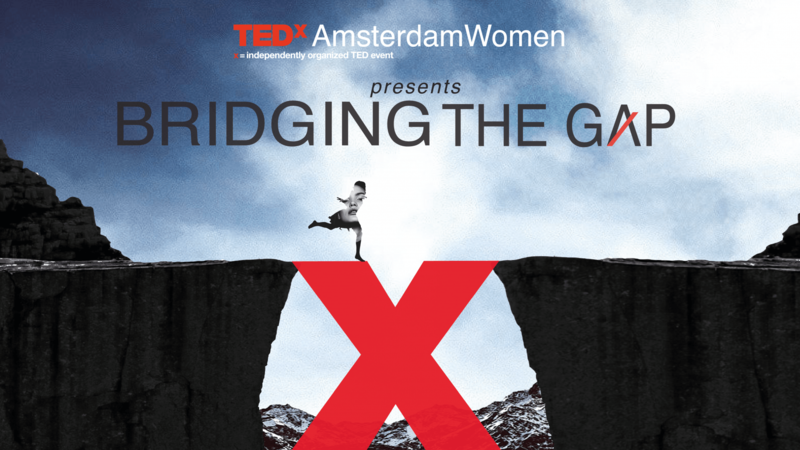 If you missed the deadline but feel passionately about your idea, please reach out to us at women@tedxamsterdam.nl. We’ll evaluate this on a case-by-case basis. When and how will I be informed about the final selection? We’ll update you via email on Friday, 19 October. After the round of video submissions all finalists will be announced individually. If I’m selected, do I need to deliver my pitch in person or can it be done via Skype or a recording? All pitches must be made in person. This is about giving you a stage to convey an idea worth spreading. We think you need to be present in person to connect with the audience and to ensure that your pitch makes the biggest impact. I submitted the same pitch for another stage and was not selected, can I submit the same idea? Yes, but consider refining your original idea or submit something else entirely. See tips above. Our team will be looking at all the entries after the deadline and will let entrants know on Friday, October 19. If you haven’t heard from us by then it might be because we have the incorrect contact details for you, so please reach out to us at women@tedxamsterdam.nl. How do you choose finalists and winners? Members of TEDxAmsterdamWomen’s curatorial team will be reviewing all applications and videos. On Pitch Night, after hearing all the talks and audience input, our jury will make a decision. How do I attend Pitch Night as a guest? Do I need a ticket? For the audience, Pitch Night is a chance to get together with others in our community and hear some great ideas. It’s open to the public, but space is limited and you need to have a ticket. Due to high demand, and to ensure no empty seats, we ask for a contribution of €12.50. You can buy your ticket here. Be sure to also follow us on our social media channels so you’ll never miss a beat! Follow us: @tedxamsterdamwomen. I’d like to attend TEDxAmsterdamWomen’s 2018 main event. How can I do that? We’d love to see you there! You can buy tickets here.